TestoFuel can only be purchased directly from us. It is not sold anywhere else. We ship TestoFuel daily to Canada from our UK depot in England. Shipping is fast and affordable on our 1 and 2 month box deals, and completely free on 4-month deal (along with other extras). What are the delivery options for TestoFuel in Canada? When ordering from outside of the US, UK or Europe, TestoFuel will be dispatched from our depot in England, United Kingdom. Orders made before 2pm GMT (UK time) will be sent out on the same day. Orders made after 2 pm will be sent out the next day. Expected delivery time: 5 – 15 working days. This service comes with full online tracking. Your tracking number will be emailed to you, shortly after your order is sent out. Am I on the right country store on your website? 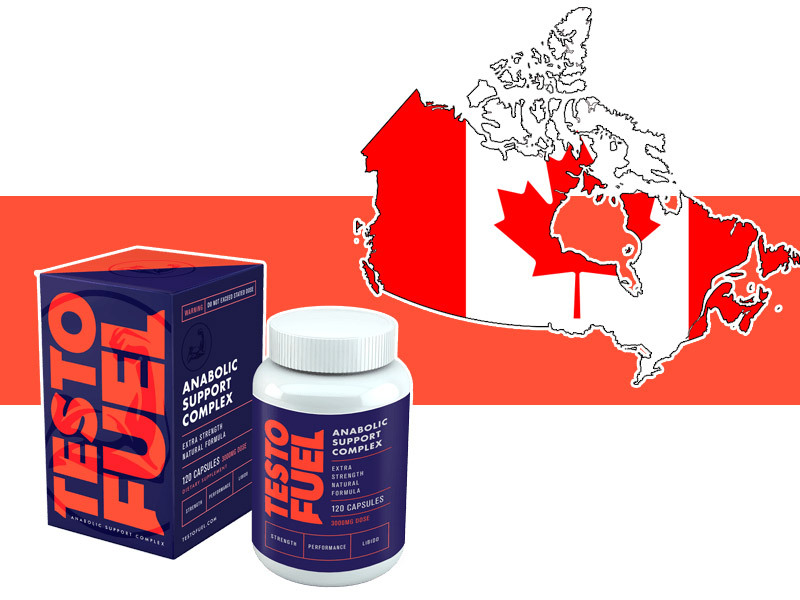 You should be automatically connected to our Canadian TestoFuel store if you are ordering from within Canada. If you’re unsure, you can check which TestoFuel store you’re using by checking in the top menu – and make sure the icon is the Canadian flag. Due to customs restrictions, we can no longer offer our ‘Buy 3 get 1 Free’ deal in Canada. As a replacement, we now offer an exclusive ‘Buy 2 get 1 Half Price’ deal. Why don’t you sell TestoFuel on Amazon, GNC or other online stores? You’ve probably noticed that we don’t sell TestoFuel on any other online platform. We don’t use any third-party merchants to sell our product. We believe this is the best way to do business – not only does it help keep costs reasonable by cutting out the retailer, it allows you to communicate with us directly. Our customer service team are knowledgeable professionals when it comes to testosterone boosting and are happy to assist you with any questions that you have. Buying directly from us gives you the piece of mind knowing that you’re getting a genuine product and on-going support and help with your health and fitness journey.